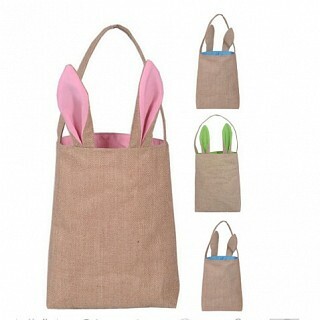 Here's a great idea for your little Easter bunny and would be perfect for egg hunts. Right now you can get one of these Bunny Ear Bags available in an array of colors for just $7.99 plus free shipping. The retail price is $23. Bunny Ear Bags - Perfect For Easter! Colors available; pink, white, light blue, dark blue and green.